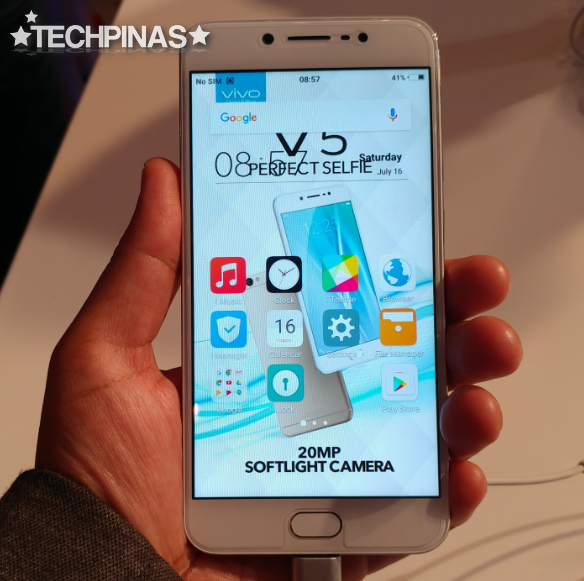 Officially introduced in the Philippines last night - November 23, 2016 - via an exclusive media and dealer event held at the Solaire Grand Ballroom in Paranaque City, Vivo V5 formally supersedes the V3 as the company's new midrange Android smartphone coming into the Yuletide shopping season. 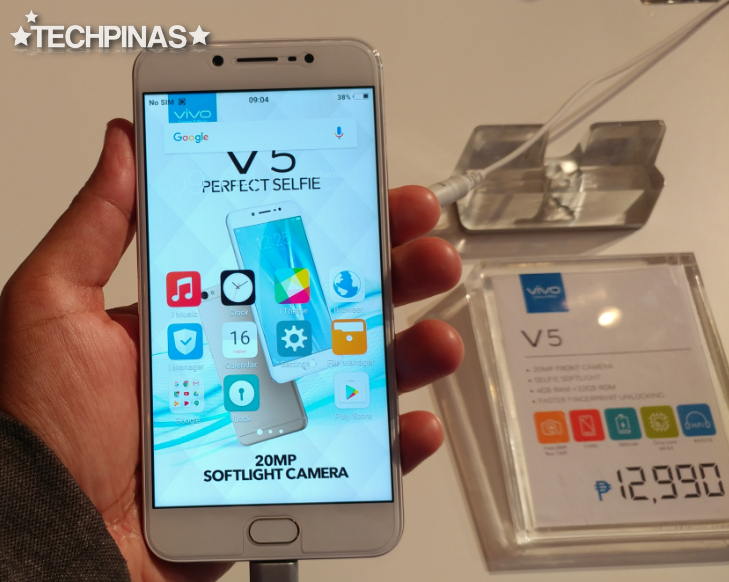 Set to hit store shelves nationwide starting on November 26, 2016, Vivo V5 has a number of interesting qualities and features that will surely be attractive to millennials who love to take selfies and to multitask on the go. 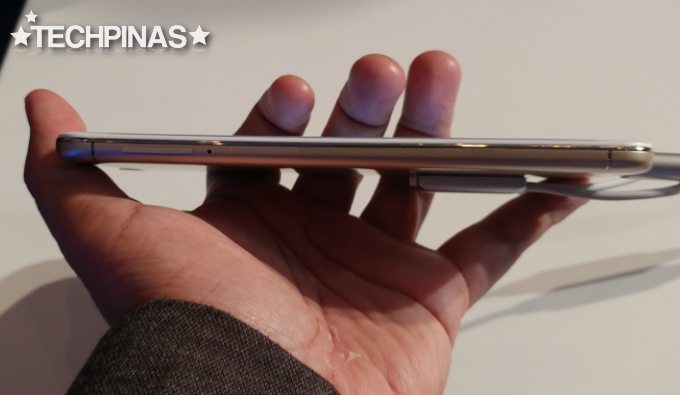 For one, it looks quite sleek as it dons a 2.5D Gorilla Glass face that's complemented by a svelte back plate with metallic sheen. This is a phone you won't be shy to flaunt. 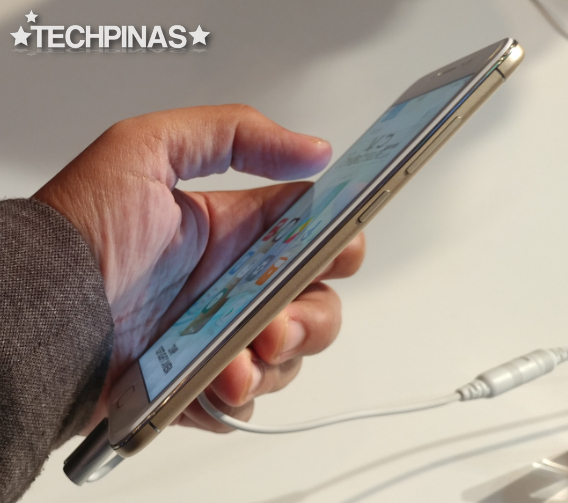 Specs-wise, the device sports a 5.5-inch HD IPS panel that, while not the most pixel-dense screen out there, still looks clear and vibrant when viewed from various angles. Crafted to deliver 'perfect selfies', Vivo V5 is equipped with a powerful front facing camera with a whopping 20 MegaPixel resolution, f/2.0 aperture, 1/2.8" sensor size, and Softlight LED flash for enhanced low light performance. 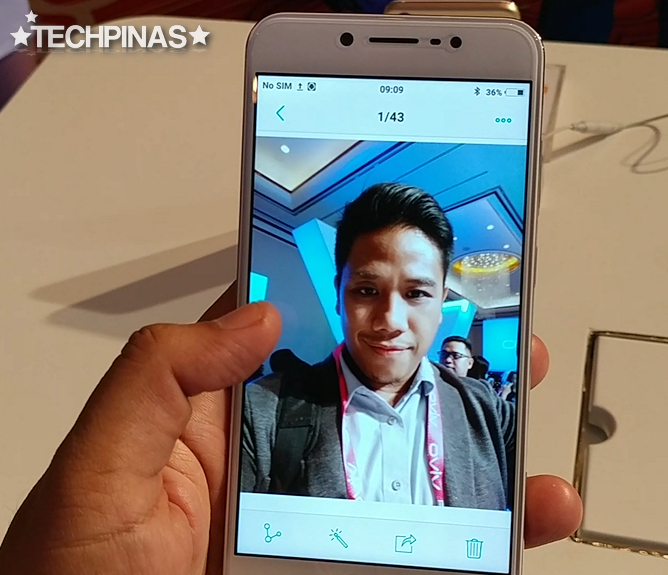 Matched with the company's facial beautification software, this handset is certainly right up there with the best of them in terms of selfie-snapping capabilities. The front cam is complemented by an equally reliable 13 MegaPixel shooter at the back with LED flash and phase detection autofocus. This camera can also shoot Full HD 1080p videos at 30 frames per second. 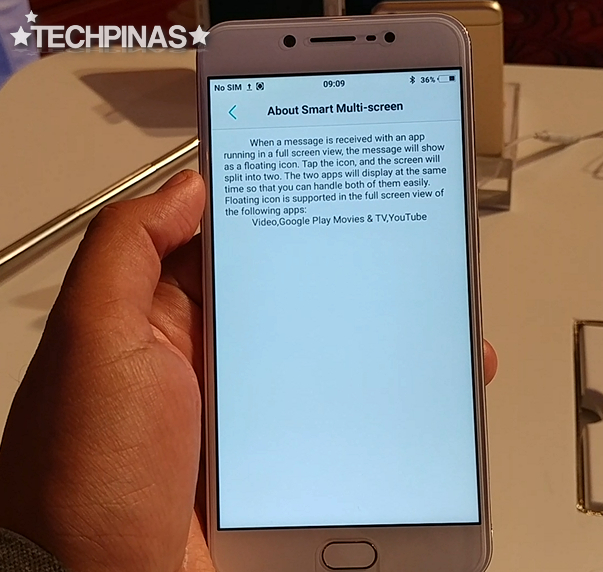 Inside, Vivo V5 runs its Funtouch OS 2.6 skinned Android 6.0 Marshmallow OS with a 64-Bit 1.5 GHz Octa Core processor (reportedly, it's a MediaTek MT6750 chipset but we've yet to confirm that), has - get this - 4GB of RAM which is a real treat at this price point, and comes with 32GB of internal storage that can be expanded via the secondary hybrid SIM slot. Other key features of the handset include its AK4376 Hi-Fi audio chip for a more enjoyable music-listening experience, 4G LTE support, non-removable 3,000 mAh Li-Ion battery pack, and Dual SIM Dual Standby capability. One of the cool and handy optimizations that Vivo's own user interface brings to the Android platform is the Smart Multi-screen feature that automatically splits your screen in two while you're watching a video on your phone when you receive a message. This means that you won't have to stop viewing the clip just so you can read incoming notes. 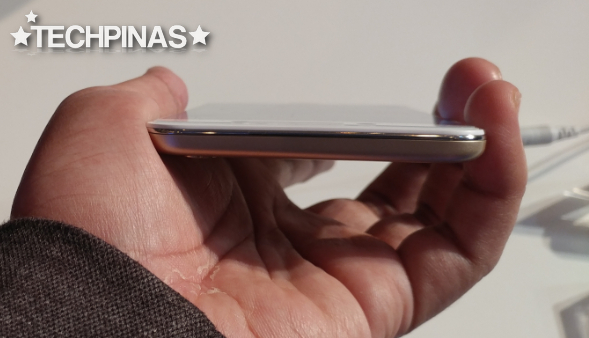 The device also has a fingerprint scanner embedded on the non-clickable but touch-sensitive home button in front. This sensor lets you unlock the phone's interface with but a touch of a finger and adds another layer of privacy protection. 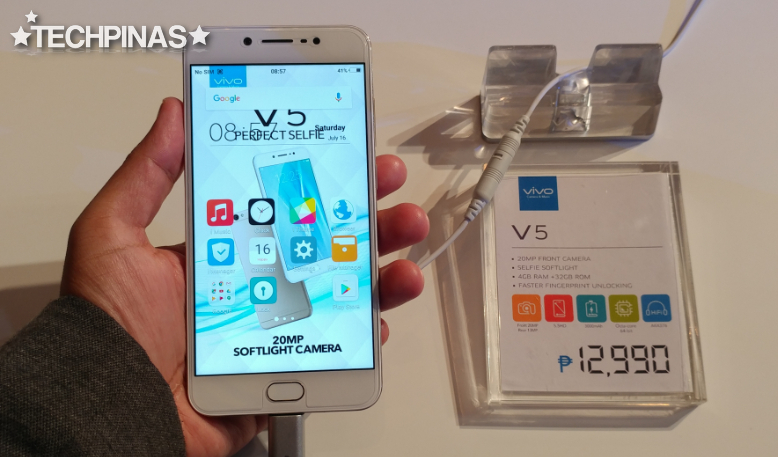 Vivo V5's official suggested retail price in the Philippines is Php 12,990, putting it in direct competition with a handful of popular and powerful gaming plus imaging-centric Android smartphones from other Chinese handset makers. 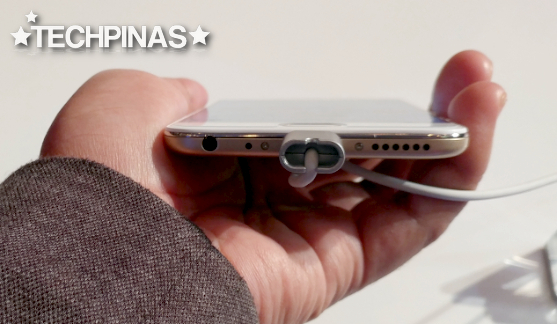 If anything, the arrival of this model in our market will only challenge the other players to level up their game, which is great for Pinoy consumers. 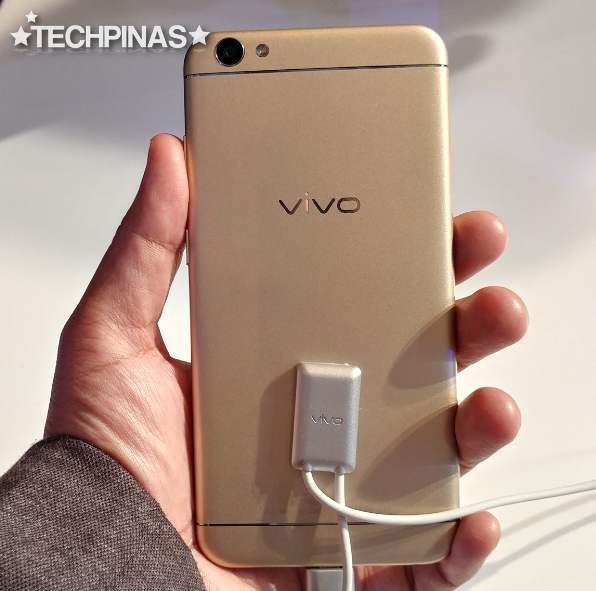 Upon its release on November 26, 2016, Vivo V5 will be available in two elegant colors: Rose Gold and Gold. 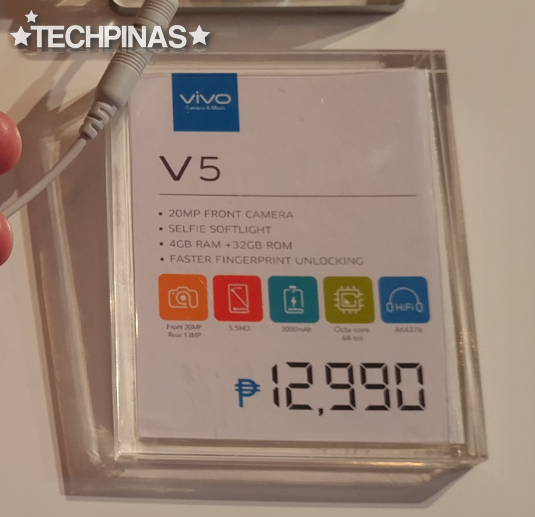 Update as of August 2017: Vivo Mobile Philippines has marked down the price of Vivo V5 to just Php 10,990, representing a Php 2,000 drop from its SRP upon launch.